The original Bic promotional items pen the Bic Round Stic Pen will promote almost any business. 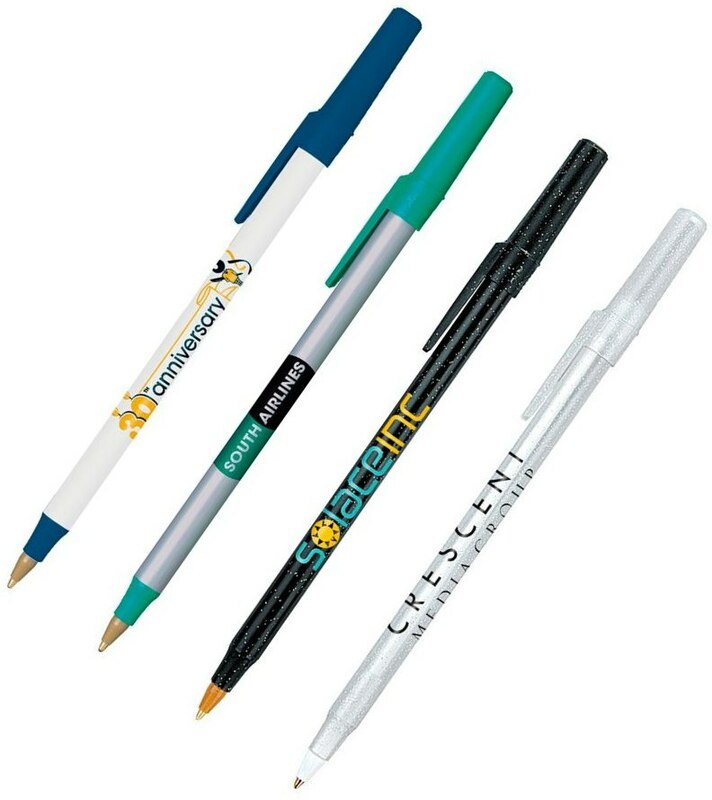 Features of the pen include Bic brand name, quality plastic, stick pen, over 1 mile of writing. You MUST order Bic pens in whole lots of 500 units over the smallest order quality below. This Bic pen is available in medium point black, blue, red ink. Fine point black or blue. Bic pens have a two year minimum shelf life so buy Bic pens in confidence. Rush Bic Pens Production is available, no extra charge. Price includes a one color imprint on the barrel area 2 1/2" w x 3/4" h.
add $.12 each pen. Max of two colors imprinted this pen. Logos require Illustrator or In Design eps, ai or pdf file.